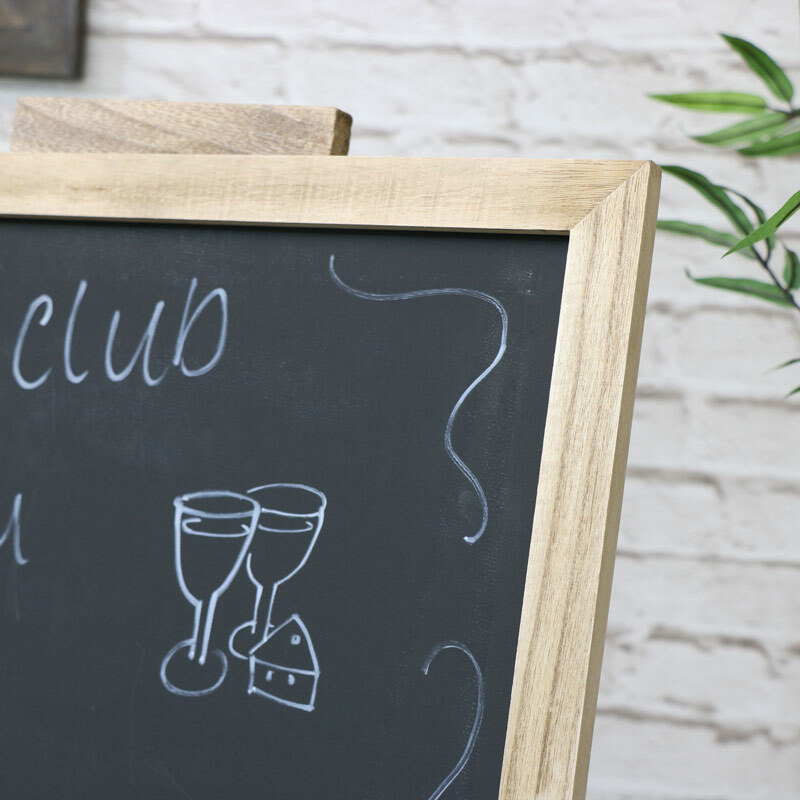 Rustic Wooden Adjustable Easel Chalkboard, the perfect addition to either your home, wedding, event or for cafes and bistros. 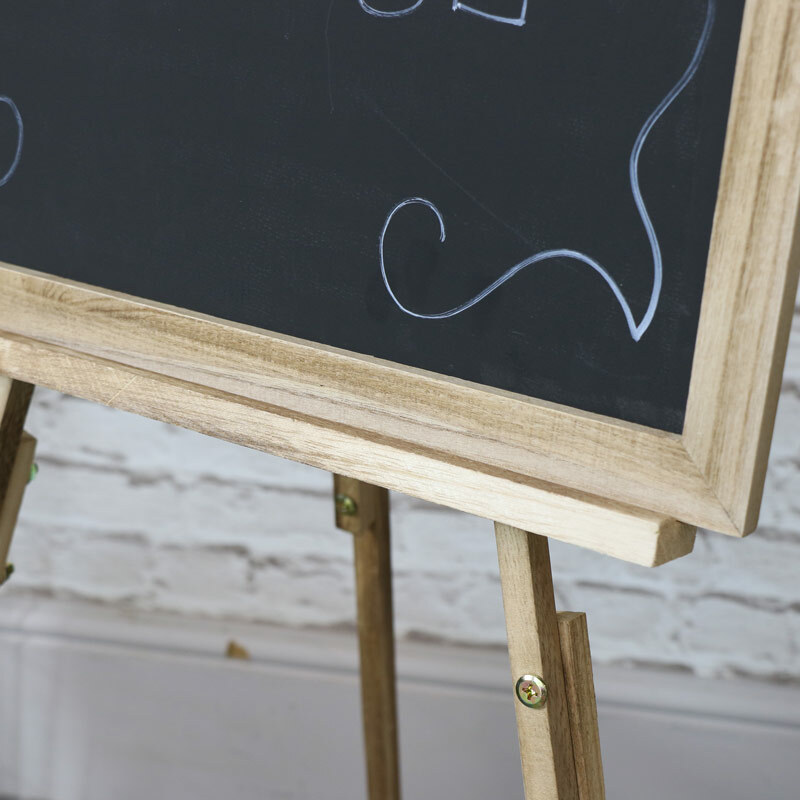 So versatile, this chalkboard can be used floor standing or used on a table top. The blackboard sits upon the frame and can be displayed in a portrait or landscape orientation. This blackboard will also be great for children and can be easily stored away when not in use. 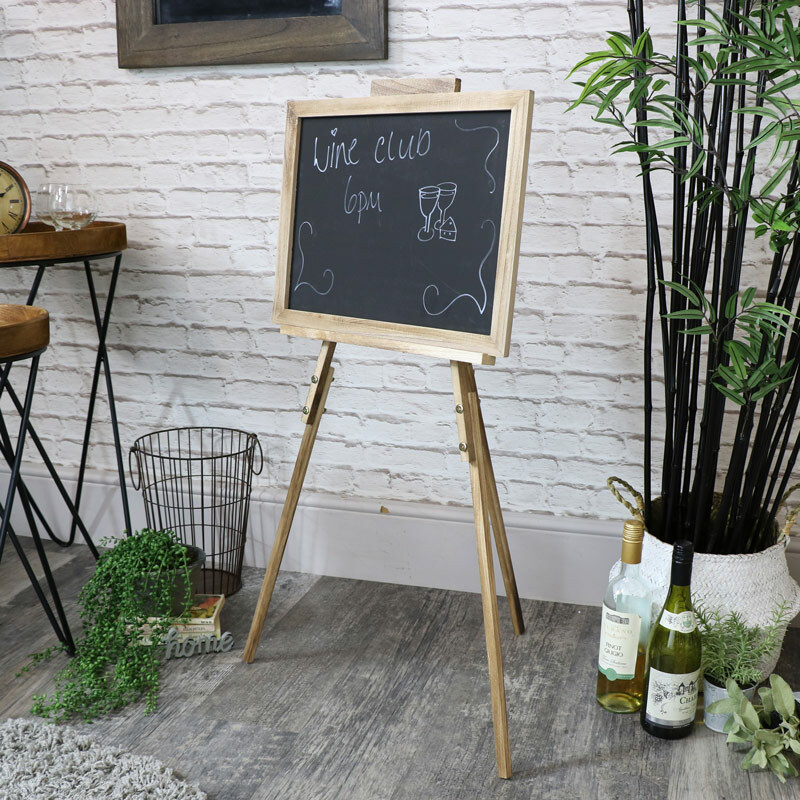 Made from wood in a natural finish, the legs fold flat so the easel can be stored away when not in use. The legs can be extended with additional wood pieces to affix to the legs with the fixings included. (Please be aware that chalk pens are unsuitable for use with this board and may stain).